A little late with this review, but it's easy to say a place is great the day you buy a new car. They're gonna be on their best behavior. It's been 3 weeks now and I have to say, Servco Lexus is on another level. Sandy Kelly is the BOMB. She has kept in touch with me since the purchase. She had me come back so she could go over all the bells & whistles (because my car is super techy). She even had them wash it for me (cause I bought black...OMG). Anyway, it's my first Lexus and I could very well be a Lexus gal for life. No haggling. No hard sell. They treat you like luxury. Unscrupulous practices... spoke to many others who own a Lexus and we all had similar experiences, where we were told our cars needed to be fixed, when we took the car to another mechanic nothing was wrong! WARNING TO ALL LEXUS OWNERS...As a precaution please get a second opinion. If prices and repairs add up then go ahead and have Lexus fix it.Customer service is bad..., not sure what’s going on. I love the car but will definitely NOT buy another Lexus again.Update: Went back since last review 7 months ago, to have my car serviced, definitely a big change in customer service. Everyone was polite and professional. Good to see that management does read reviews and takes things seriously, hopefully everything else is resolved as well, keep up the good work.Changing my ratings to 5 stars for the effort. Purchased our third Lexus from this dealership. Rodney Aki was our salesman each and every time. Buying a new car can often be an ordeal. Rodney has always gone out of his way to help with the process. Friendly, honest, courteous. 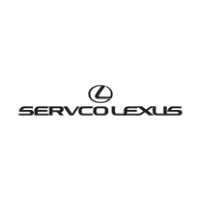 I recommend Rodney if you’re looking for a Lexus Facilities at Servco Lexus are little worn compared to other luxury car dealerships but the staff’s attitude more than make up for it. Today was a sad day as l set up to depart the island, but Servco Lexus had my family and I walking away with a smile that would melt the clouds away! Our business with them found us selling our car as the military life on the island ended for us. With only a day left, we were greeted on an otherwise dreary day by Mike Gomes. Although we were invited to their dealership by another associate, he did not hesitate to meet and exceed our expectations. He took the car in and started paperwork, but then realized that the acquisitions manager was unavailable. To his quick, out of the box thinking, he had another manager summoned from the dealership from across the street, it was at this moment in time we were also blessed with Rex Bui. With exorbitant fashion he handled appraising and finalizing paperwork for our vehicle that was well beyond our expectations! All the while, Mike engaged with us, conversed with us, extinguishing the urban legend that all car dealerships are out to scam you. If I could, I would give these two individuals way more than just five stars! I pray that my future sees Oahu again, for I know exactly which dealership to go to for my next purchase! Mahalo Nui Loa from the bottom of our hearts!P.S. The clouds did give way to sunshine. Sandy Kelly's product knowledge was absolutely on point. Great service! Staff was very helpful without being pushy. Selection could've been better but we found a great car and are very happy! In & out with a new car in about 4 hours.